A rare opportunity to work with a trainer with both personal & professional experience, awareness and skills in understanding & working with dissociation. • Greater awareness of the continuum of dissociative experiences. • Enhanced confidence, responsiveness and awareness for supporting survivors of trauma, abuse and adversity. • Awareness of effective short and long-term strategies for reducing distress and gaining control. 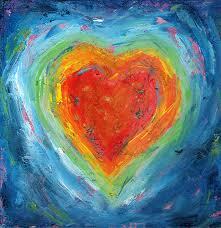 • Increased knowledge of working therapeutically with dissociative experiences and use of the DES-II. • Greater understanding of the clinical relevance of dissociation. • Acquired skills and knowledge to work collaboratively with survivors of trauma, adversity and abuse to help them reclaim ownership of their experiences and work towards recovery. Suitable for anyone wishing to understand more about healing from trauma and working with dissociation, including mental health/social service professionals, psychotherapists and counsellors, voluntary sector workers, survivors and their friends, families and allies. 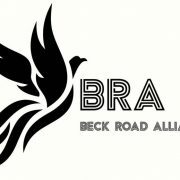 The Beck Road Alliance (BRA) exists to support survivors of organised childhood sexual abuse on Beck Road, Hackney, and ALL survivors EVERYWHERE, to share their testimonies of surviving childhood sexual abuse. BRA believes that by sharing our experiences, we’re showing the world that the reality of childhood sexual abuse is a global epidemic, which profoundly effects girls and boys. 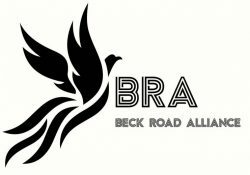 BRA believes that breaking the silence about childhood sexual abuse is crucial in terms of healing from the impact of, and drawing attention to, the widespread prevalence of abuse. Our silence will not protect us. Only the truth will set us free. BRA believes that it is the mark of a responsible society (and responsive services), to honour those experiences, support them and learn from them at all levels. Only then can we stop the cycle of abuse and prevent future generations from being left with the lifelong legacy of surviving childhood sexual exploitation. This is your chance to share your testimony, in your own words, on your own terms. ‘The word ‘testimony has in itself a double connation of both something objective, judicial, public, or political, and of something subjective, spiritual, cathartic, or private…Thus the use of the word ‘testimony’…implies that the subjective, private pain is to be seen in an objective, political context’. (Worlds of Hurt: Reading the Literatures of Trauma, Kali Tal. CAMBRIDGE UNIVERSITY PRESS, 1996). Feel free to share as much or as little as you like, and to use your real name or to use a pseudonym – it’s entirely up to you. For hundreds of years, psychiatry has treated voices and hallucinations as an enemy – regarding them as ‘insanity’ or ‘madness’ and seeing them as something to be quashed and even frightened of. But today, new scientific and psychological insights into how the brain works are leading to a radical rethink on what such experiences are – and how they should be treated. Horizon follows three people living with voices, hallucinations and paranoia, to explore what causes this kind of phenomena. Providing a rare first-hand insight into these experiences, they reveal just what it is like to live with them day to day. They examine the impact of social, biological and environmental influences on conditions traditionally associated with insanity, such as schizophrenia and psychosis, and within the film they look at how new ways of understanding the brain are leading to a dramatic change in treatments and approaches, and examine whether targeting the root causes of psychosis can lead to recovery. Above all, they try to uncover why it happened to them – and whether it could happen to you. What do you hear when you stop and listen to what’s going on in your head? 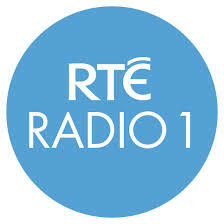 A song that was on the radio yesterday? A snippet of this mornings conversation with your sister? Or nothing….? Are you debating the best route to take home? Are you saying a prayer? What does that sound like? Jacqui Dillon hears voices. In her head. Lots of them.Voices that sound as real as you or me. Voices that wake her up. Voices that tell her to go to sleep. Voices that disagree with her, and voices that encourage her. And the voices have been there for as long as she can remember.So you might think Jacqui is mad, but this is the story of a woman who has come a long way with the voices in her head. Twenty years ago Jaqqui’s experience of her voices drove her to psychiatric services…. and that’s where the story really begins because it was when she was told that the voices weren’t real, and that she was lying about her past that she really began to get mad. And that’s when Jacqui realised she had to learn to live with her voices and understand why they were there. This is a story about hearing voices and about learning to live with them. A story about how your past shapes your future until you start to understand it . If you have ever wondered what it would be like to hear voices, or have always thought that people who hear voices are plain mad, this documentary just might make you think twice. Jacqui Dillon is the national Chair of the Hearing Voices Network in England. She is Honorary Lecturer in Clinical Psychology at the University of East London. How much evidence is required for a paradigm shift? http://www.jacquidillon.org/wp-content/uploads/2013/10/Acta-Psychiatrica-Scandinavica.jpg 180 139 Jacqui http://www.jacquidillon.org/wp-content/uploads/2017/05/jacqui-logo.png Jacqui2013-10-15 09:54:302013-10-15 09:57:13How much evidence is required for a paradigm shift? – Prof Richard Bentall, From the Foreword. Are hallucinations and delusions really symptoms of an illness called ‘schizophrenia’? Are mental health problems really caused by chemical imbalances and genetic predispositions? Are psychiatric drugs as effective and safe as the drug companies claim? Is madness preventable? This second edition of Models of Madness challenges the simplistic, pessimistic and often damaging theories and treatments of the ‘medical model’ of madness. Psychiatric diagnoses and medications are based on the false premise that human misery and distress are casued by chemical imbalances and genetic predispositions, and ignore the social causes of psychosis and what psychiatrists call ‘schizophrenia’. This edition updates the now extensive body of research showing that hallucinations and delusions etc. are best understood as reactions to adverse life events and that psychological and social approaches to helping are more effective and far safer than psychiatric drugs and electroshock treatment. A new final chapter discusses why such a damaging ideology has come to dominate mental health and, most importantly, how to change that. Section Three presents the evidence for a range of effective psychological and social approaches to treatment, from cognitive and family therapy to primary prevention. This book brings together thirty-seven contributors from ten countries and a wide range of scientific disciplines. It provides an evidence-based, optimistic antidote to the pessimism of biological psychiatry. 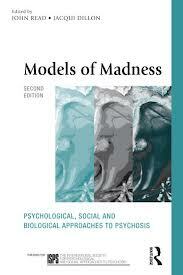 Models of Madness will be essential reading for all involved in mental health, including service users, family members, service managers, policy makers, nurses, clinical psychologists, psychiatrists, psychotherapists, counsellors, psychoanalysts, social workers, occupational therapists, and art therapists. Download flyer to receive 20% discount from Routledge! Bad Things That Happen to You Can Drive You Crazy! I’m feeling elated after an amazing evening at Mount Holyoke College in Massachusetts. The event, sponsored by Mount Holyoke College Department of Psychology and Education, the Western Massachusetts Recovery Learning Community, and the Freedom Center was attended by about 150 people – students, academics and people from the local community – some as far away as Boston, Connecticut and Pittsburg. The auditorium was packed with people hungry for an alternative to the pharmaceutically driven, biomedical model which dominates so heavily in America. Many were inspired when they heard Ron Coleman and Paul Baker speak late last year and there is a growing momentum for the development of the Hearing Voices Network in America. Change is happening. seemed to really resonate with others experiences and many people were clearly questioning the adequacy of a biomedical model to make sense of and respond to human distress. I began by reading ‘A Tale of An Ordinary Little Girl’ and then spoke about the groundbreaking work of the Hearing Voices Movement, its success in many other parts of the world and our intention to revolutionise the way societies think about hearing voices and other unusual human experiences. I ended by stressing the imperative to take collective responsibility for the ills in our societies, to become aware of the dominant ideologies that redefine reality and to challenge oppression, power, social norms and inequalities. I appealed to everyone to join the last great civil rights movement – fighting for the rights of those labelled as mentally ill.
As always, a number of survivors came up to me afterwards and thanked me for telling ‘their’ story. Lots of people wanted to find out more about how they could get involved in the movement, meet with others, start groups. People are impatient for a paradigm shift in the way we understand and respond to human suffering which is now, long overdue. Many are in anguish. Fortunately, there are already some fantastic Hearing Voices Groups running in the area, with several new groups in development. I left feeling proud, inspired and grateful to be part of such a wonderful, powerful movement for change in the world. There is still so much work to be done. First, it’s time for a bath and then bed. 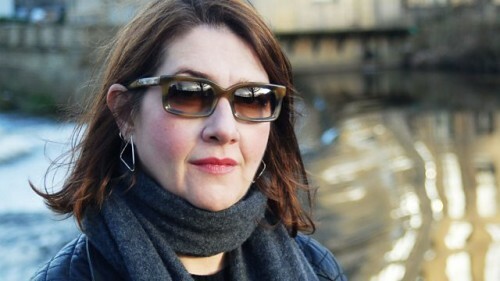 http://www.jacquidillon.org/wp-content/uploads/2017/05/jacqui-logo.png 0 0 Jacqui http://www.jacquidillon.org/wp-content/uploads/2017/05/jacqui-logo.png Jacqui2011-03-23 06:18:042011-04-14 19:16:27Bad Things That Happen to You Can Drive You Crazy!